The Election is all our home can talk about at the moment. 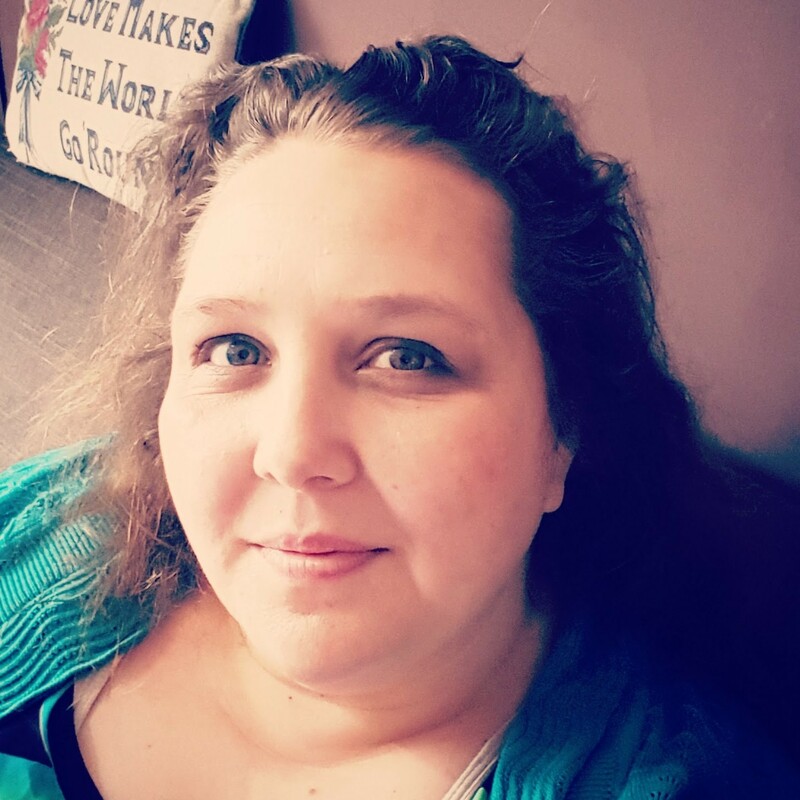 We've been talking about policies that we think are important to us, policies that we think are important to others and how we think the implementations of policies that we don't like will affect us too. We sound like a really intellectual family don't we? Well, actually we aren't. Well, we are because Daddy and I have been talking politics and about what is important to us and how we think we're going to vote and it's actually really hard this year. 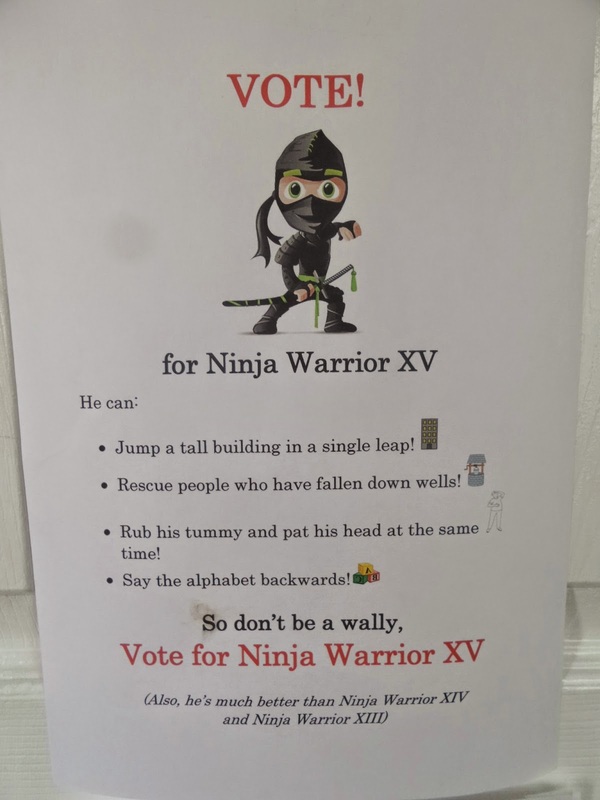 In the past I've known who I've been voting for because of the parties policies on key topics, this year however there is a lot more, erm crossover. At least I know who I'm not voting for and that kinda helps. The real election in our house, the one that we are all talking about on a daily basis is the election to find out who will be the Superhero of our family. 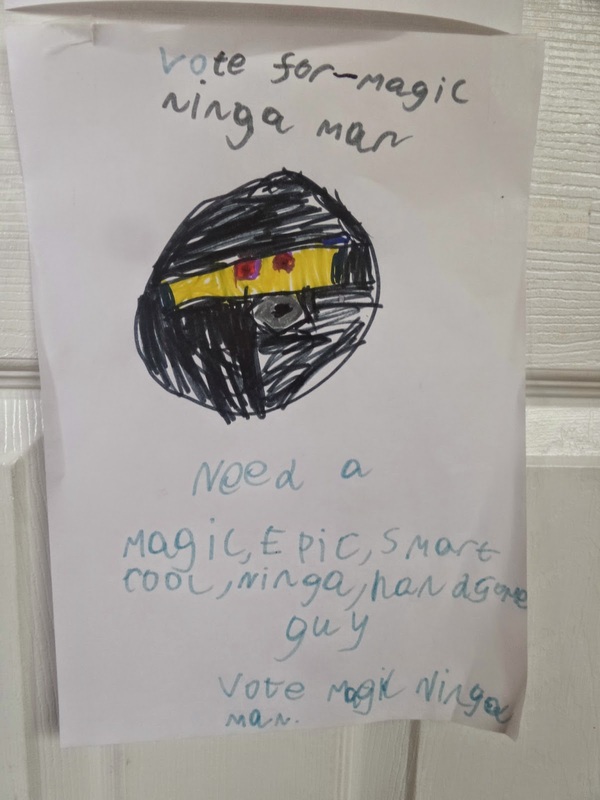 It all started last term, when Top Ender's classmates (as part of a School project) held elections to find a Superhero for the School and it inspired Big Boy to find a Superhero for our family and he made this poster. 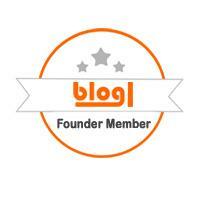 Need a Magic, Epic, Smart, Cool, Ninja, handsome guy? So Daddy made this poster. Jump a tall building in a single leap! Rescue people who have fallen down wells! Rub his tummy and pat his head at the same time! So I made this poster. 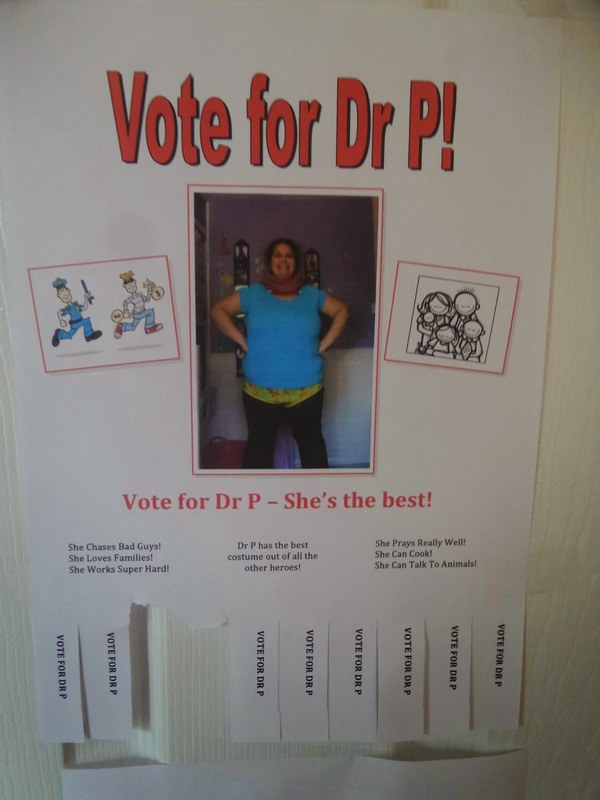 Vote for Dr P - She's the best! Dr P has the best costume out of all the other heroes! She Can Talk To Animals! And Top Ender made this poster. You're the civilian, I'm the hero! My job is to save you and no bad guys yet so I'm doing a pretty good job! Yup, we're taking this election seriously. I mean have you heard my policy on cake? Under my rule, it would be promoted to a major food group. 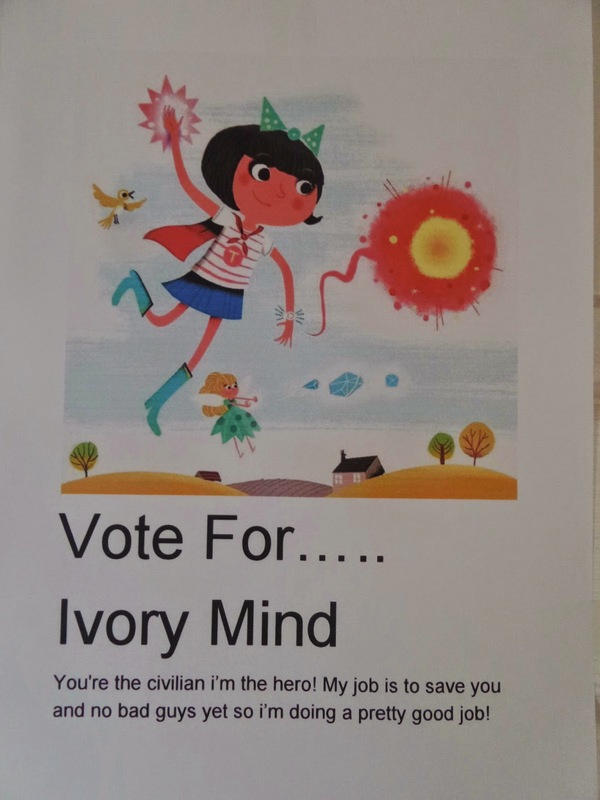 So... who would you vote for in this Family Superhero Election? !